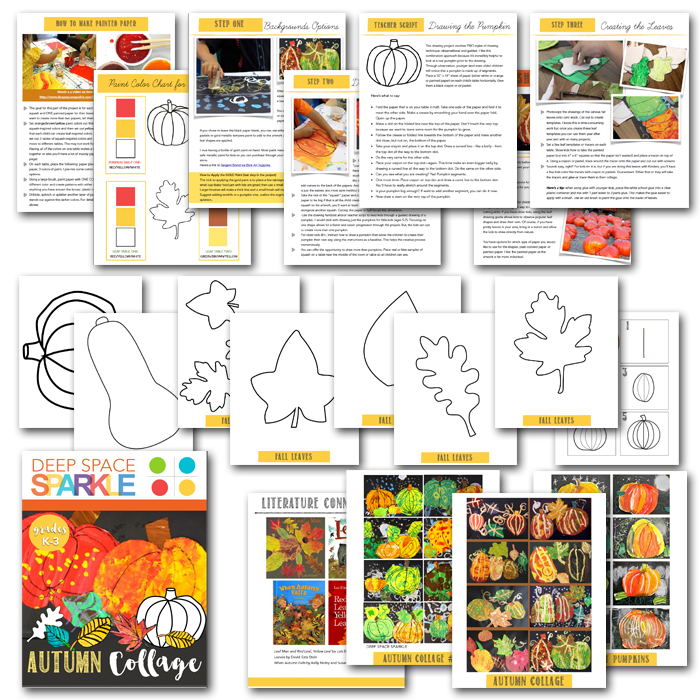 This Autumn Art Activity Bundle is designed to make creating art for your home or classroom easy. Templates, prep shortcuts and basic art supplies allow even the most inexperienced or art challenged adult create beautiful–and fun!–art with their kids. I’ll walk you through every detail from prep, literature connections, art supply do’s and don’ts and will reveal those small tips that make the difference between a ho-hum and a Wow! project. 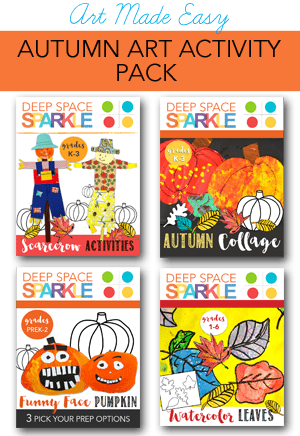 The projects in this bundle have been my go-to Fall Art projects for twelve years. They are tried and true and my students have loved them. Looking for a great art activity that you can do after you visit your local pumpkin patch? Kids will see a variety of squash, pumpkins and gourds nestled amongst tangled vines and leaves and can turn what they see into beautiful pieces of art. 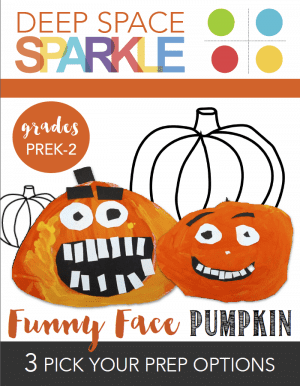 This art project offers a great technique for teaching kids to draw a pumpkin that not only looks great but every child can do--even little five year-olds. Don't like paint? No problem! Use the easy art supply options to adjust this lesson to accommodate your prep demands. NEW! 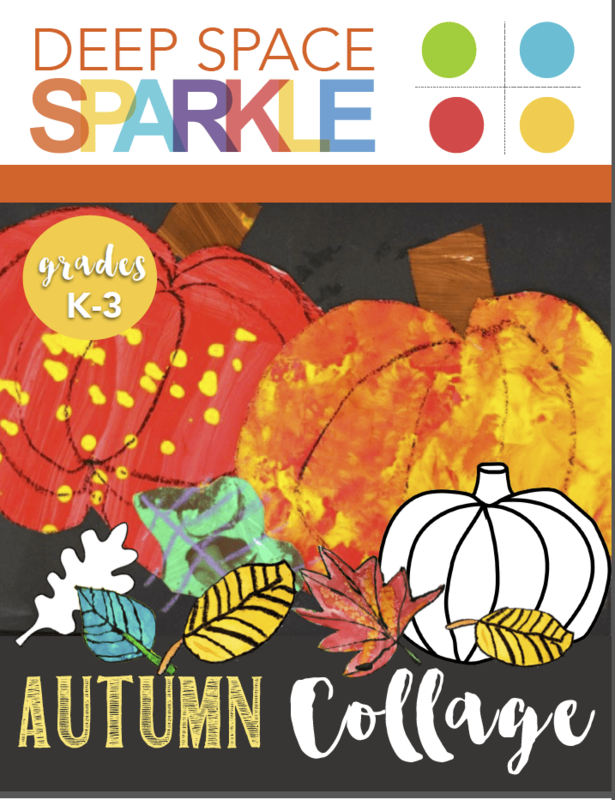 This lesson plan includes a variety of done-for-you standards to print out, including Common Core, I Can, National Core Visuals Arts Standards and artist statement worksheets. 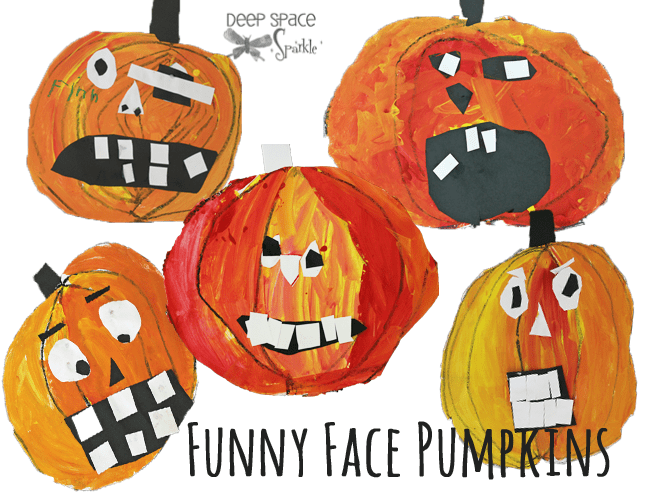 In all my years of teaching art, this Funny Face Pumpkin is the one that elicits the most giggles and smiles. 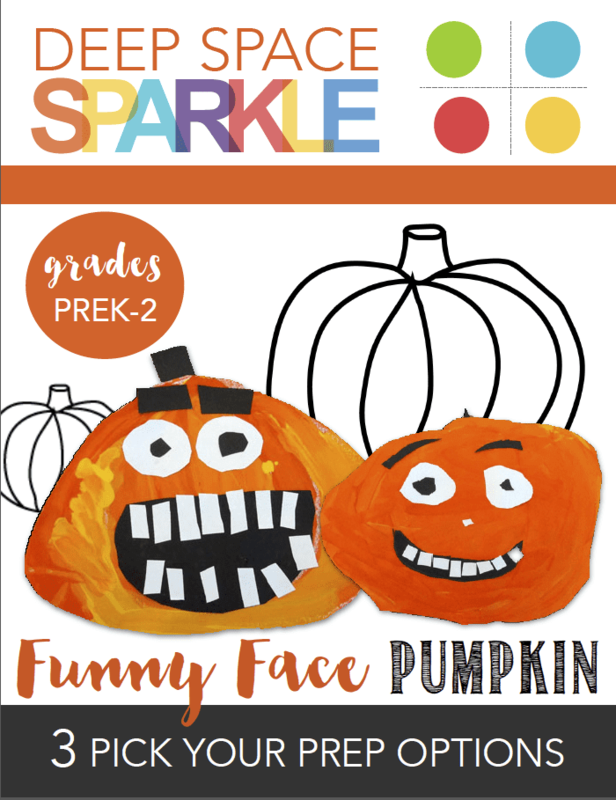 As you’ll see in the instructions, the pumpkins are easy to create: use your choice of paper to make the pumpkin and scraps of white and black paper to make the faces. I incorporated as many art elements into this project as possible but for this tutorial, I’m also offering quick steps and tips to make this project as doable for any classroom or home art studio. When I was a brand new art teacher, this lesson was my go-to art project for Fall. I loved all of the elements that went into creating this happy scarecrow: the watercolor background with the rolling hills and the template generated scarecrow. My first and second graders loved this lesson. It gave them an opportunity to be very successful with their scarecrows yet individual at the same time. It also provided lots of experience with cutting, composition and individual expression. 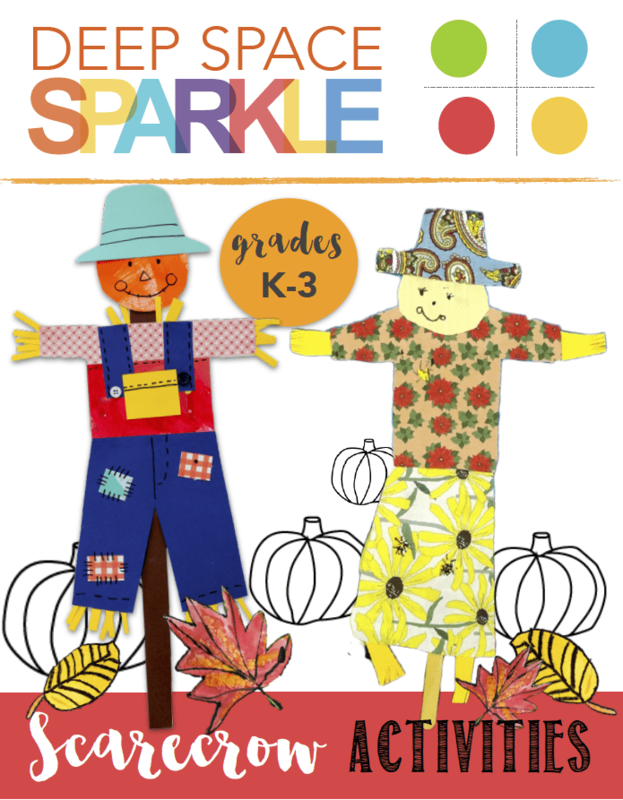 For this project, I will explain how to create the painted background but will also show you how to produce a larger (20-“22”) scarecrow to hang in your classroom or home. Every child, no matter what the age, can enjoy this watercolor project. If you live in an area where fall leaves are plentiful, take a walk outside to collect your art inspiration. If you live in Southern California, this is not an easy task. I’ve included a handout of basic leaf shapes for your kids to reference. 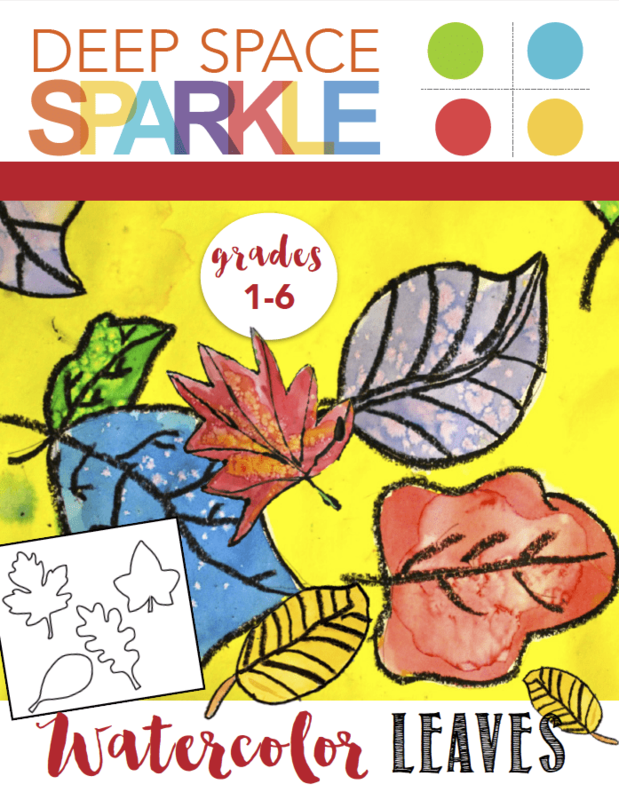 I offer teaching and art supply options for this lesson based on age groups. You'd be surprised how a small tweak in instruction and drawing tool can make or break this lesson for a young or older child. This lesson is great for all ages (6-11) because of the many options available to you in the packet.